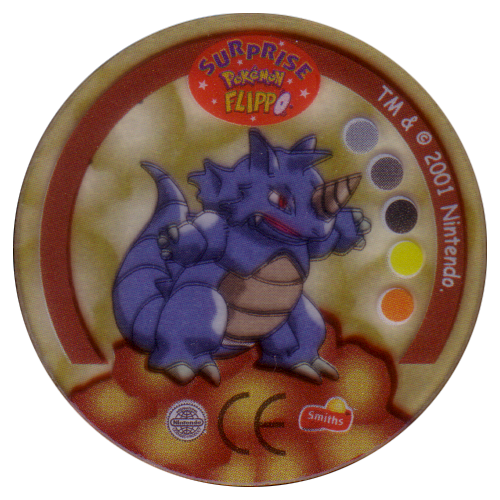 Info:Pokemon set 3 crystal flippos, numbered 1-45. 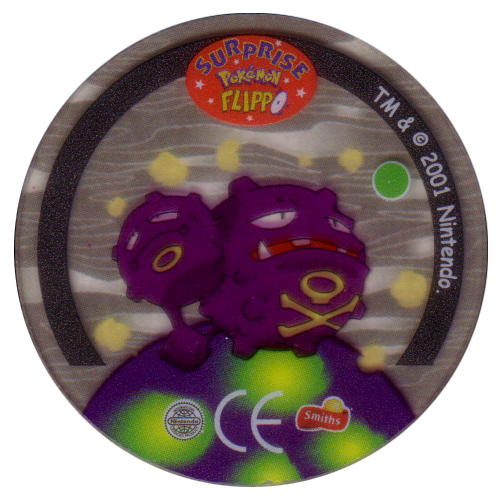 This set has a sticker on each flippo. 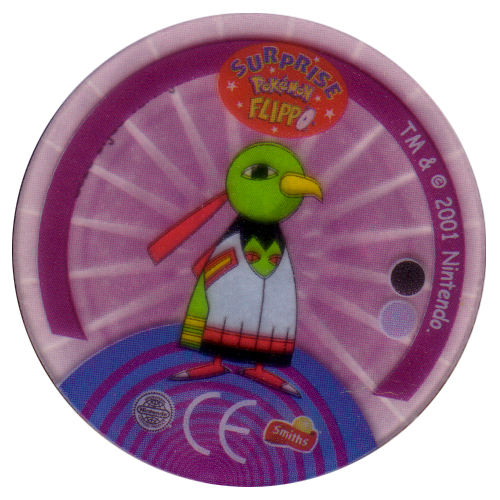 This set was very rare, you had to buy at least 76 packets of potato chips to complete the set if you got no double flippos. 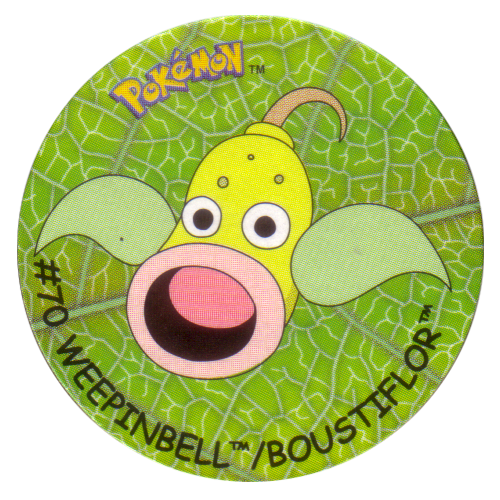 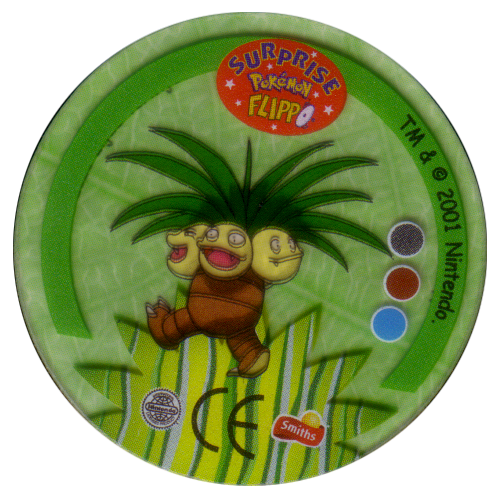 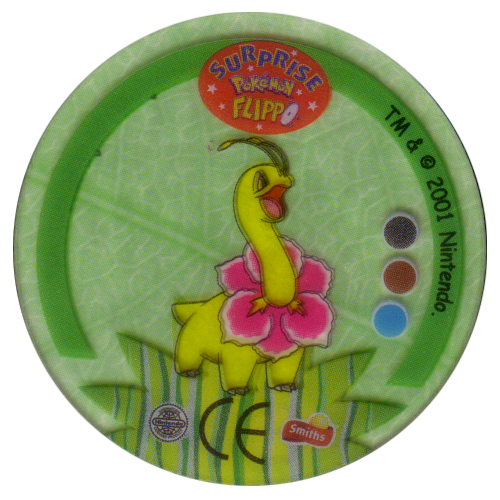 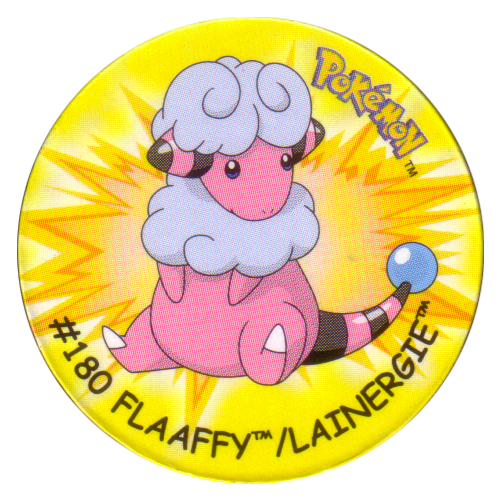 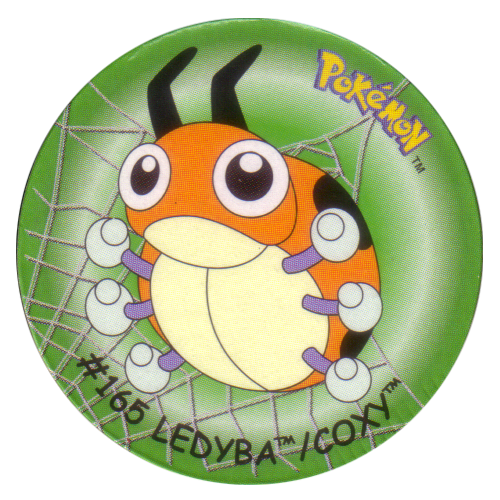 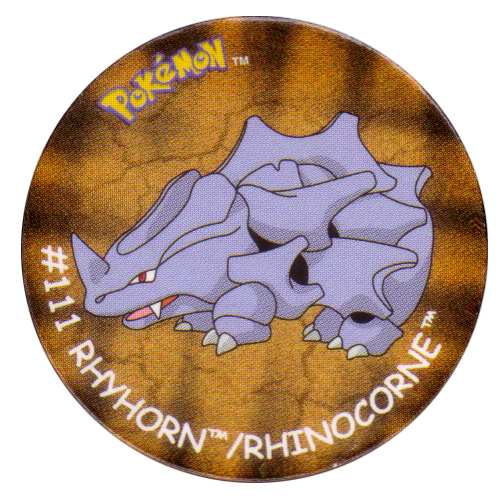 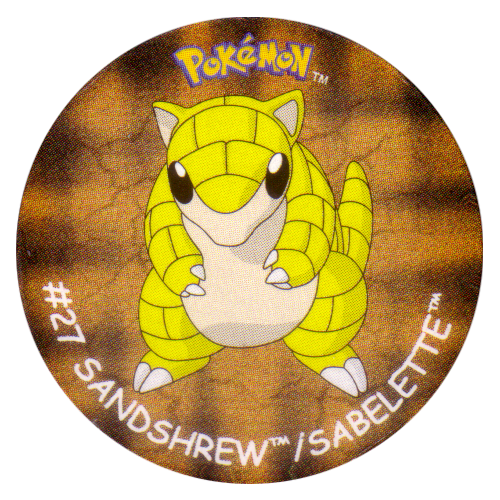 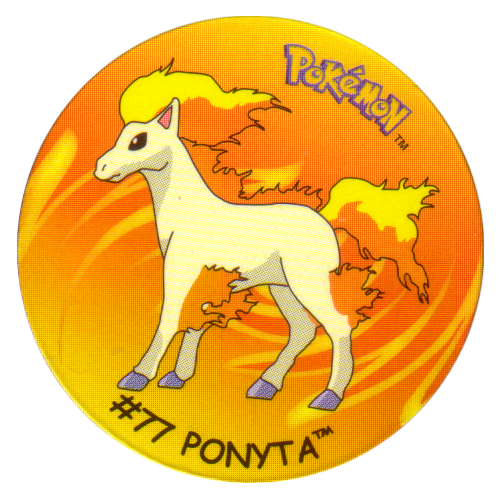 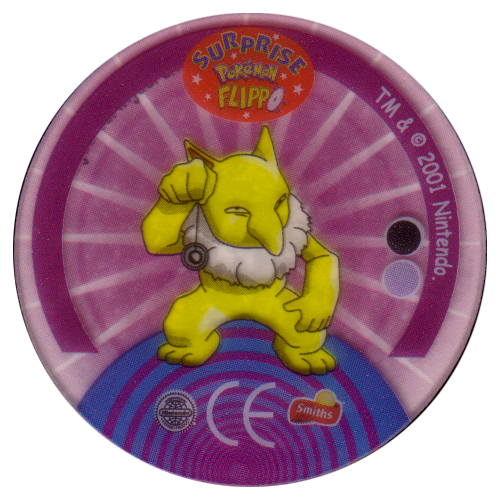 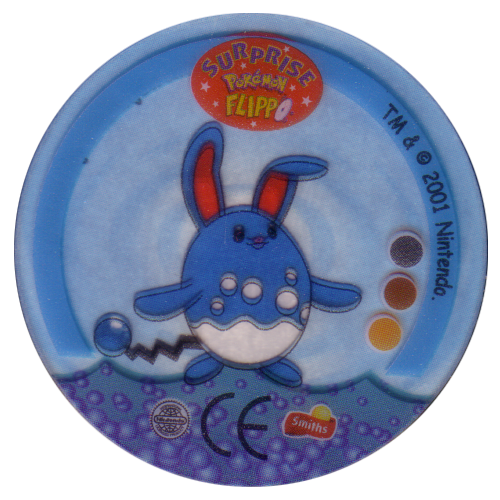 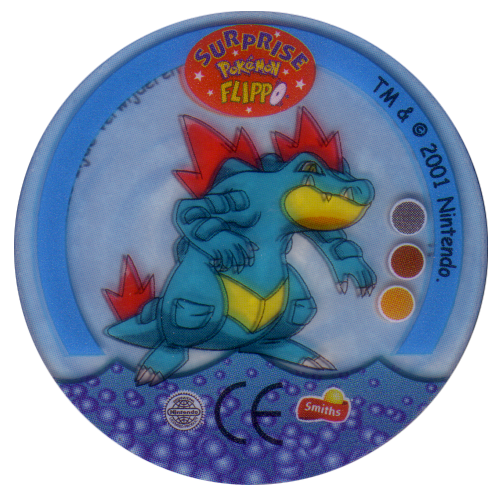 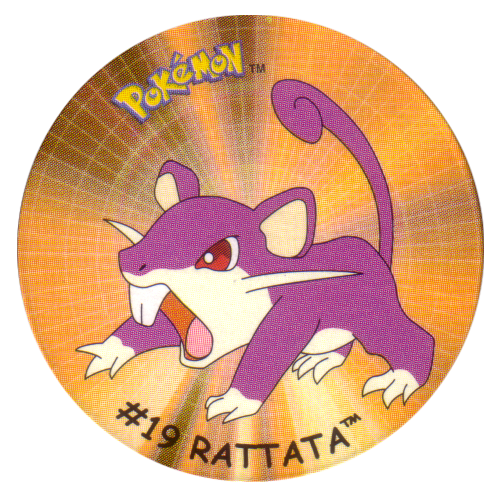 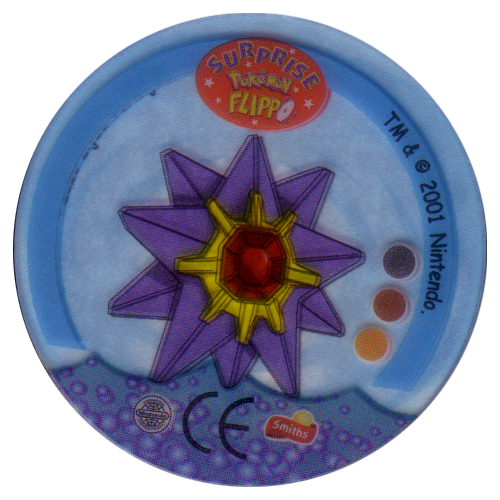 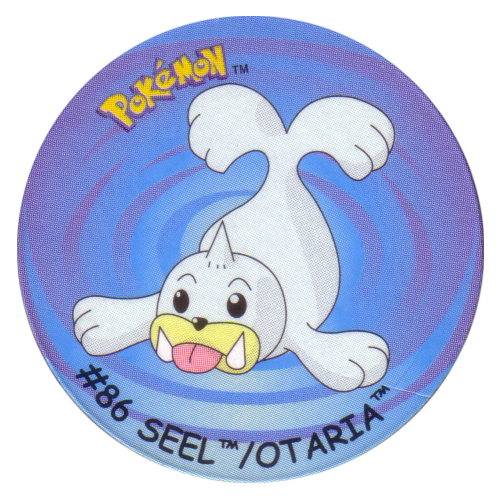 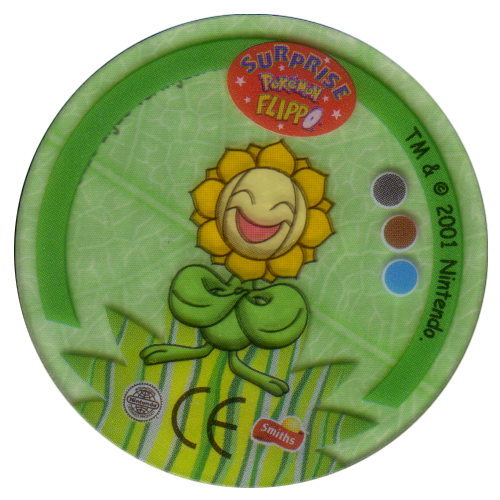 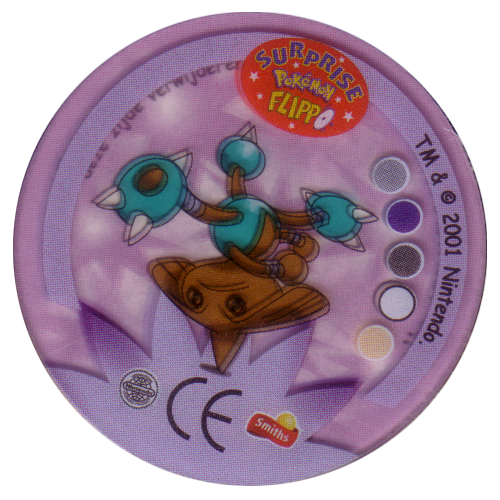 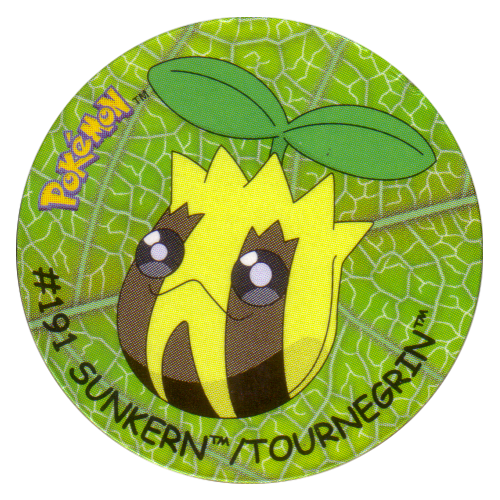 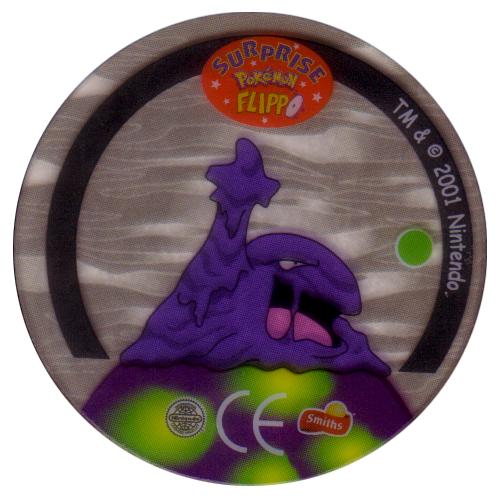 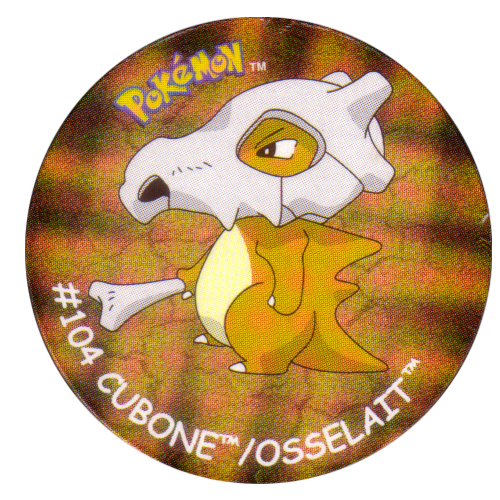 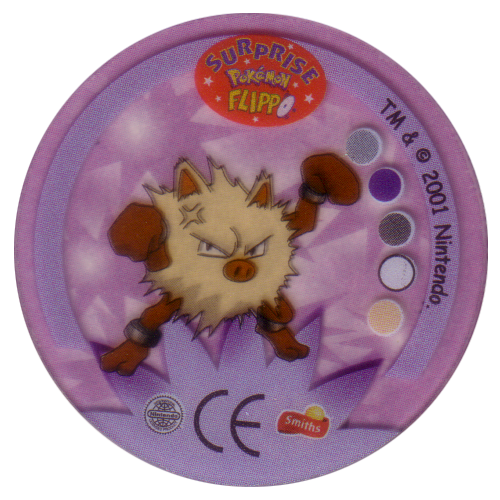 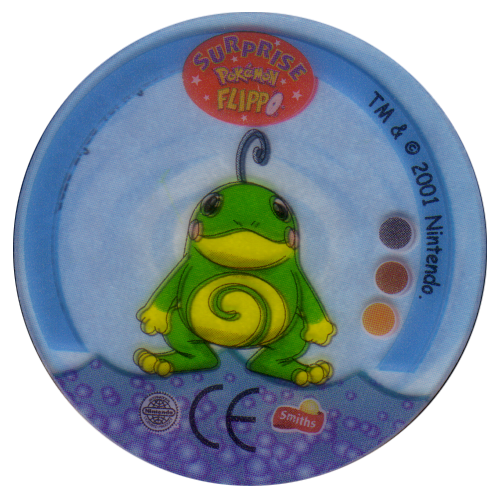 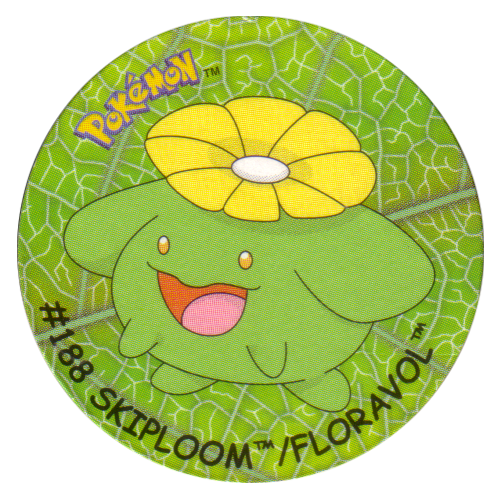 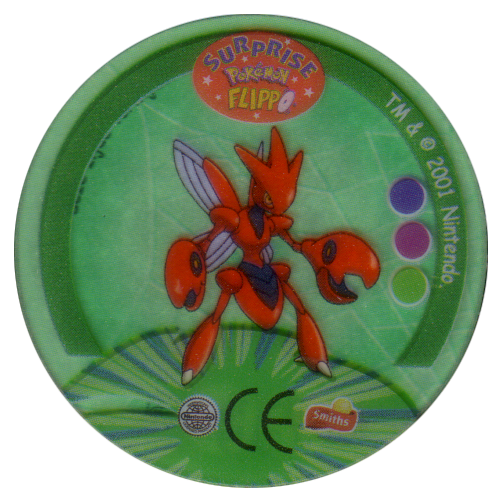 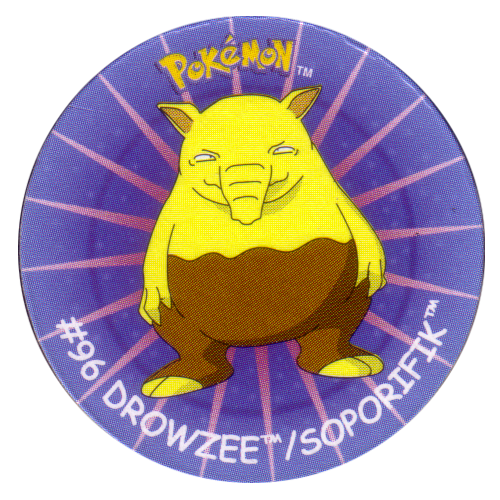 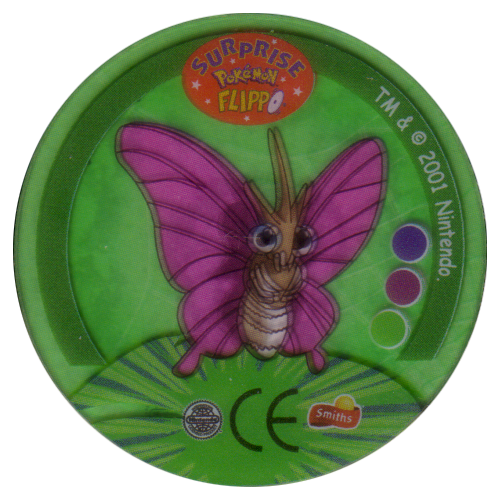 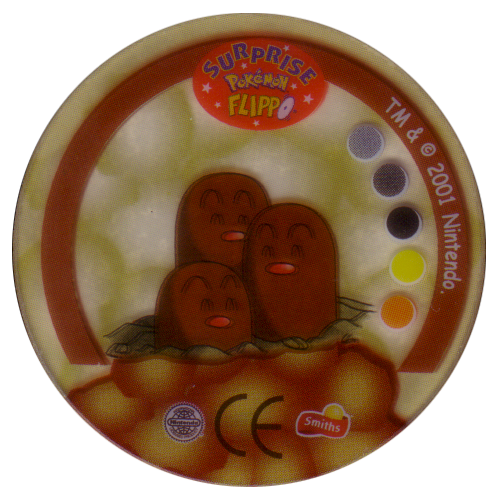 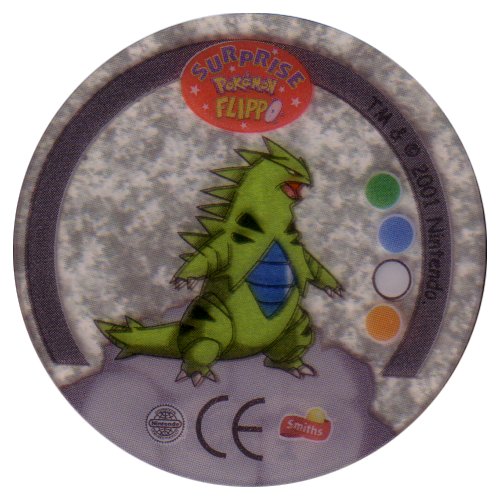 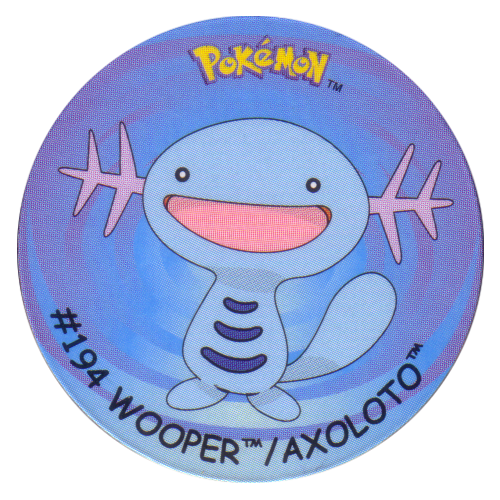 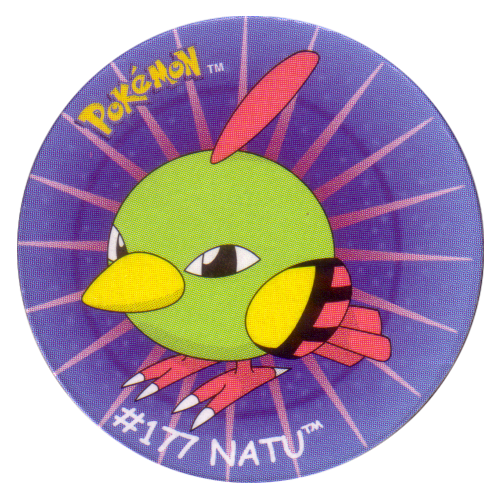 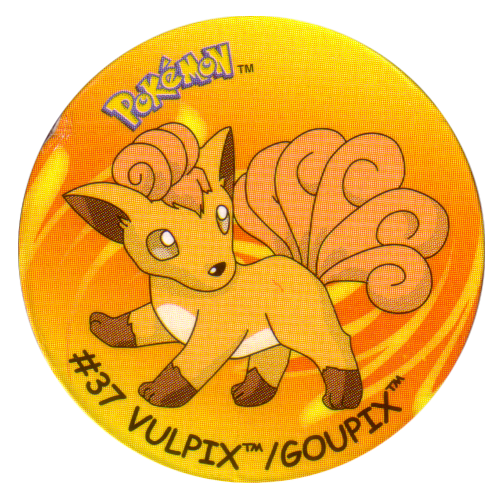 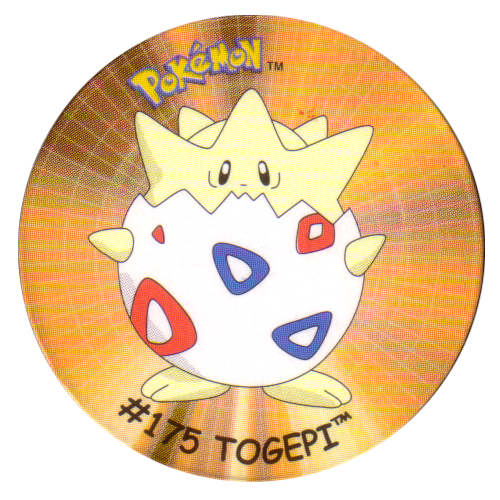 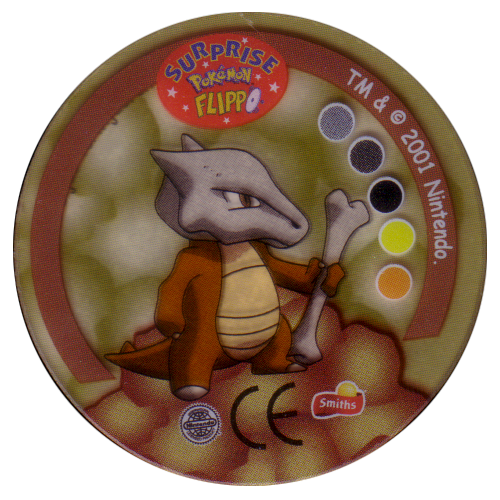 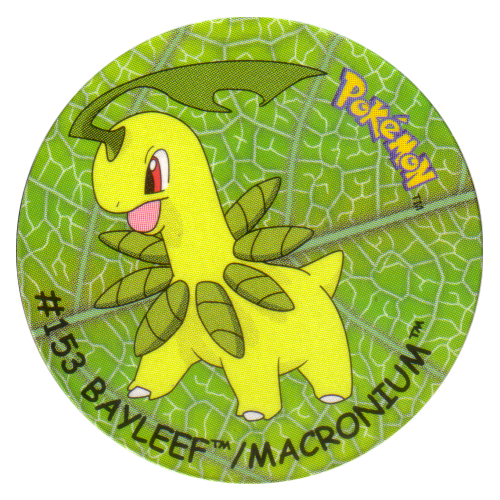 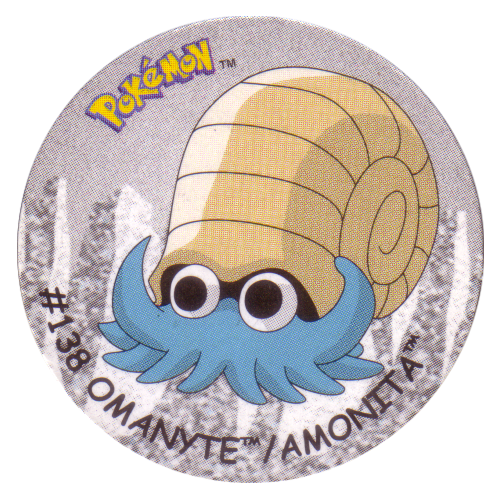 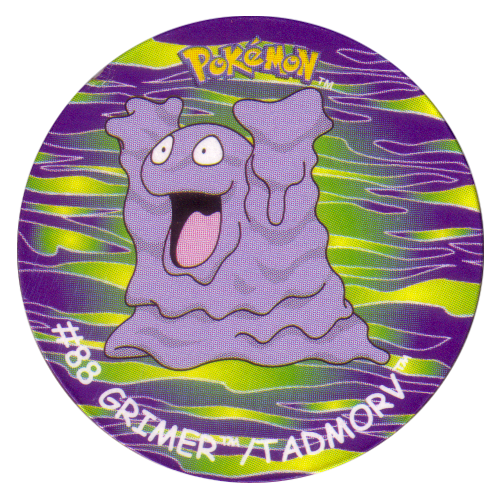 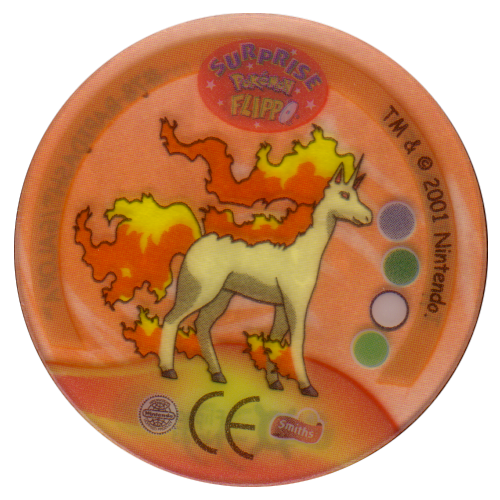 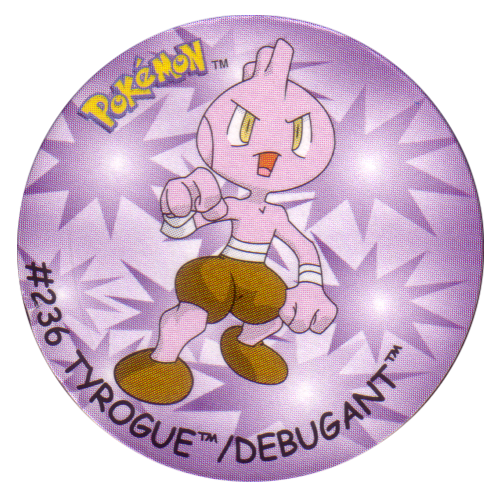 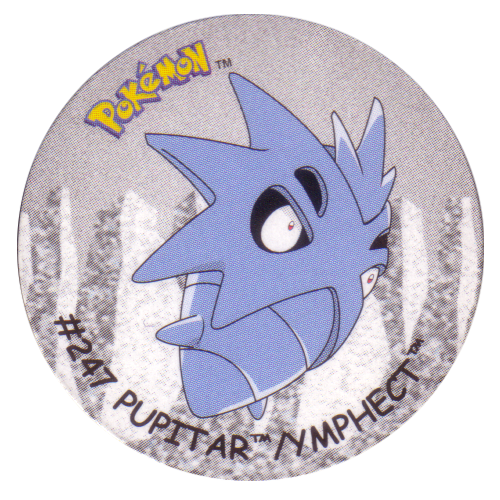 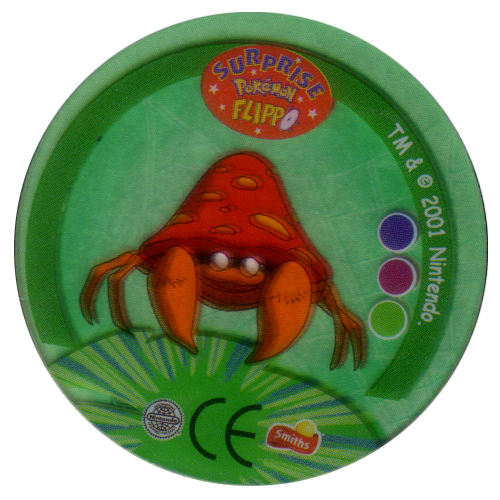 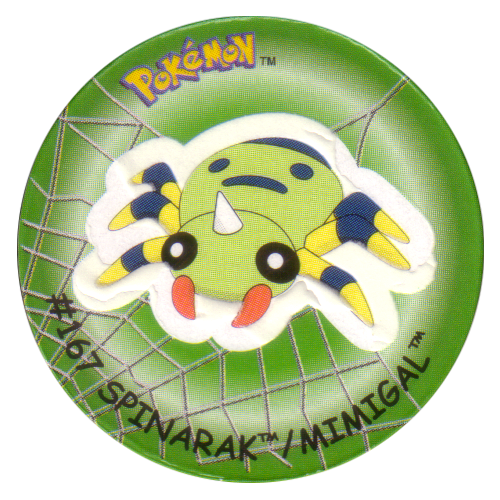 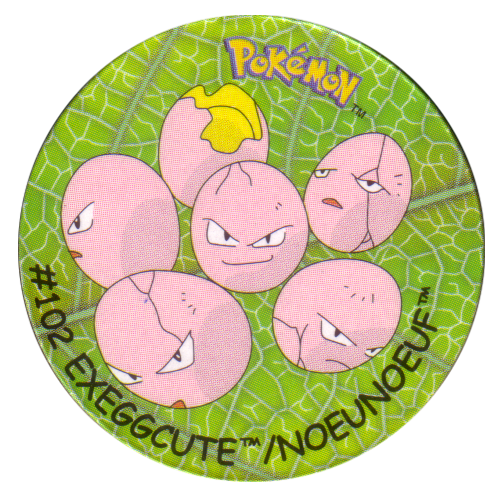 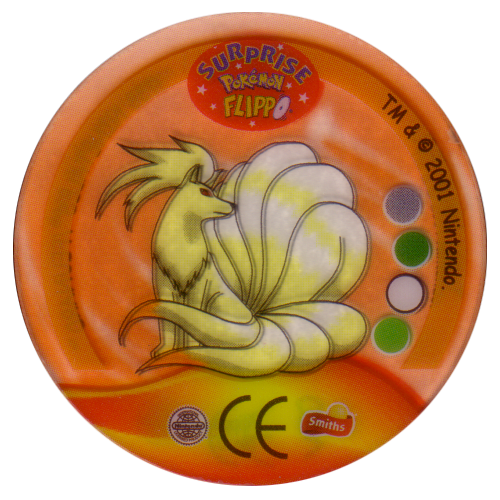 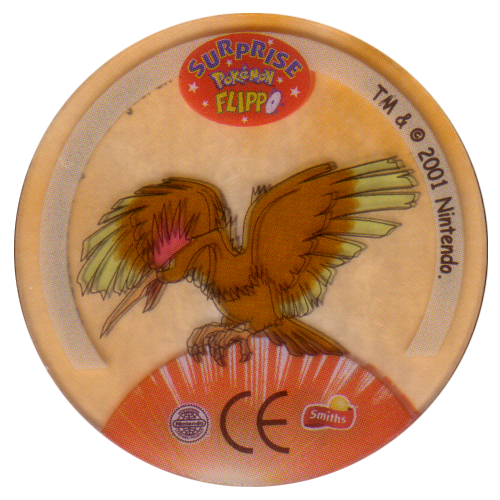 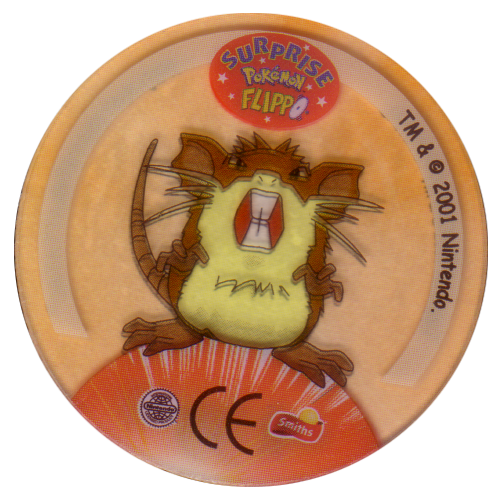 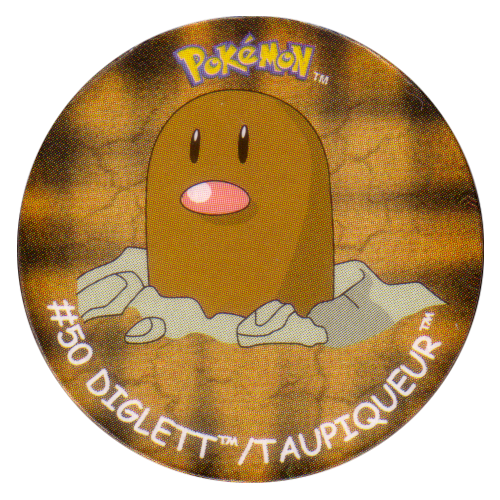 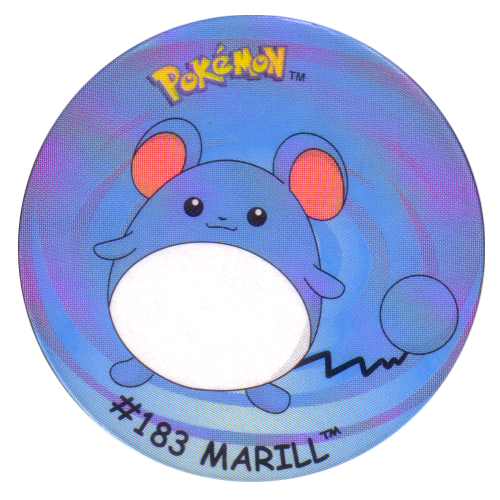 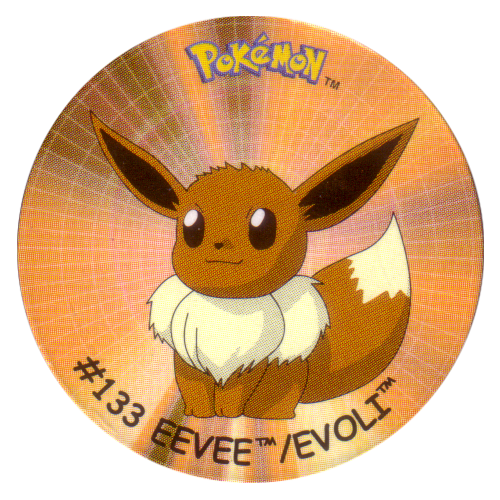 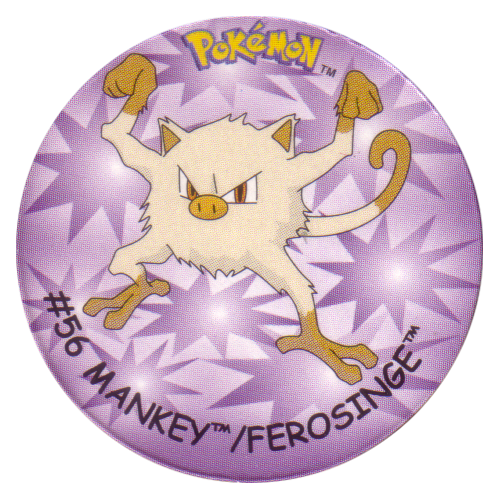 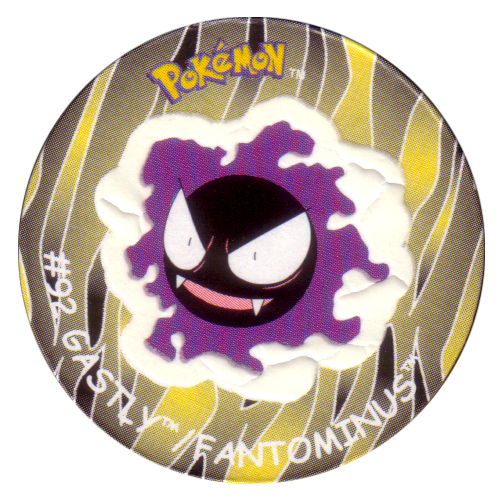 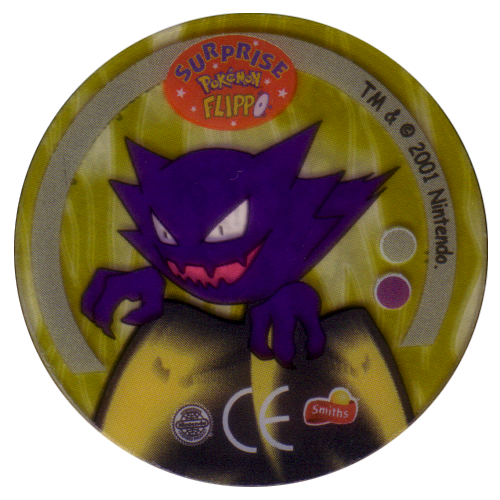 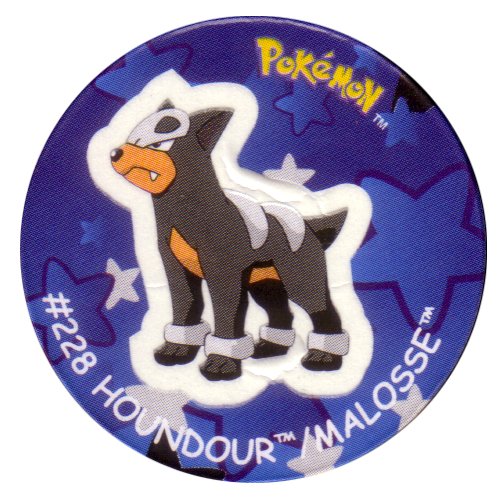 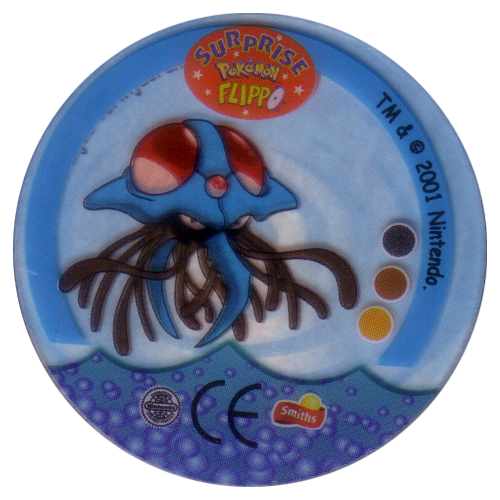 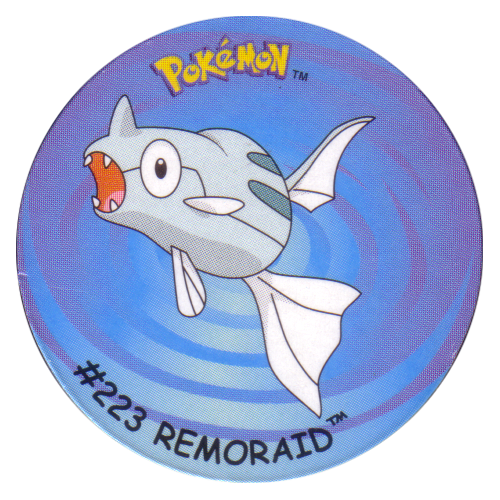 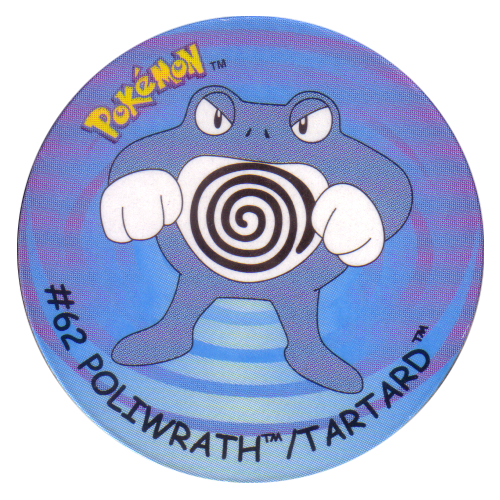 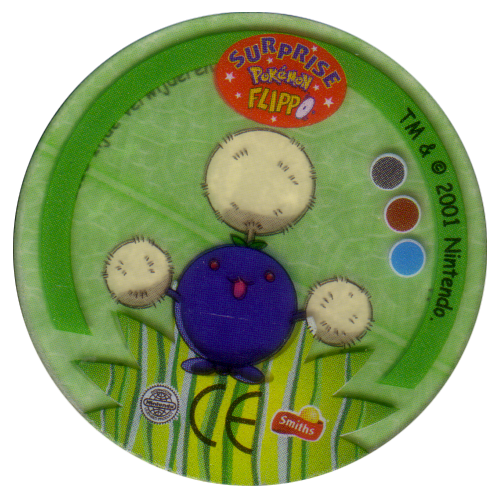 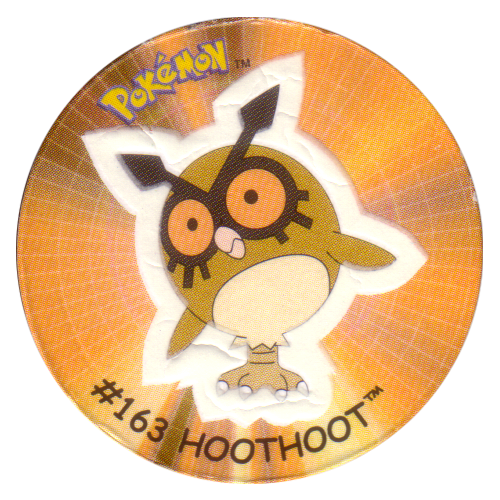 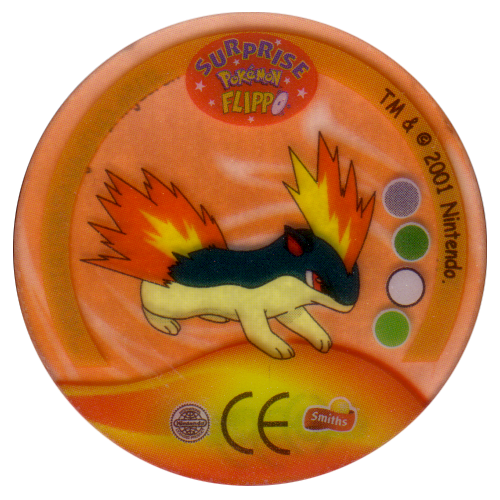 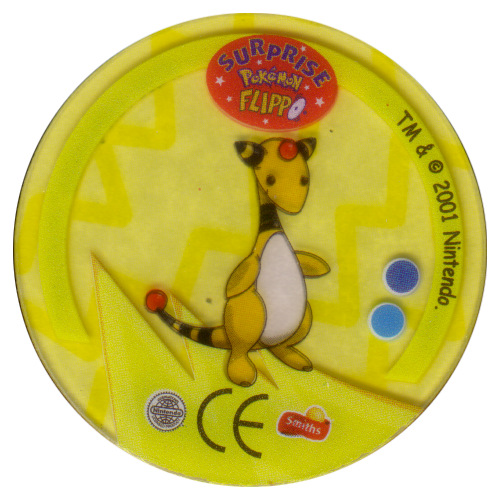 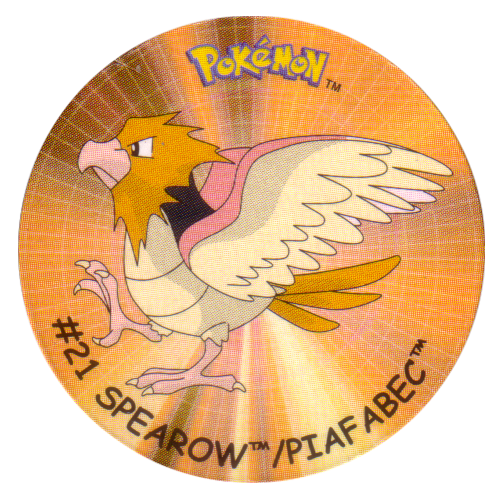 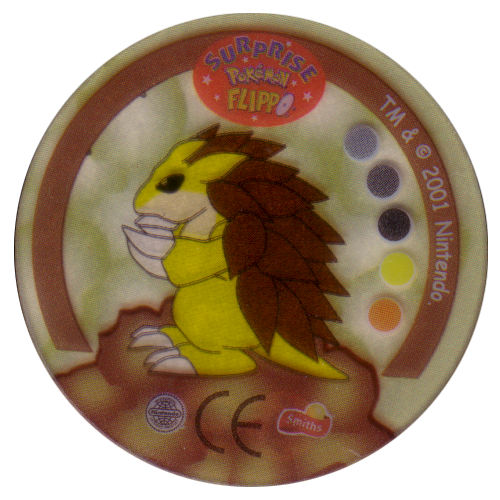 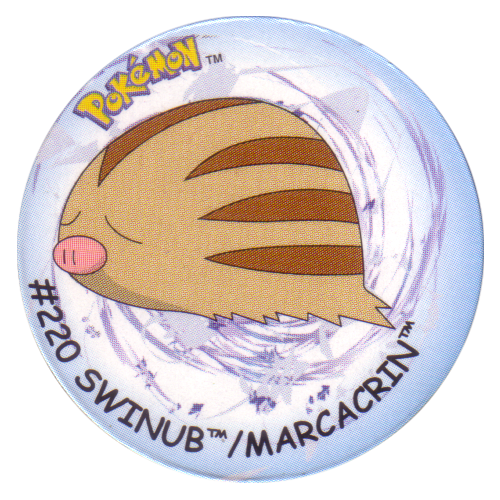 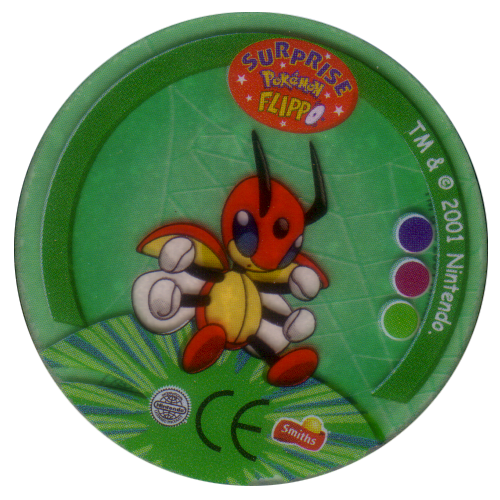 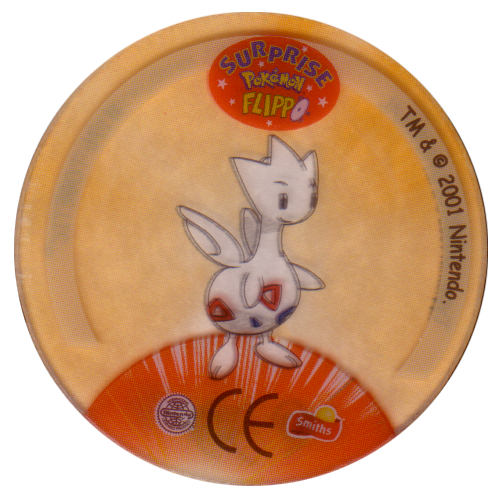 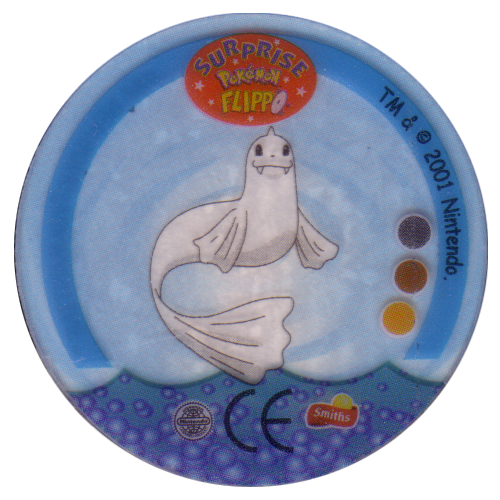 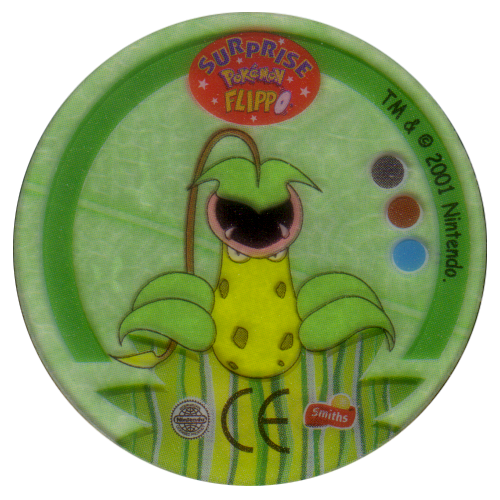 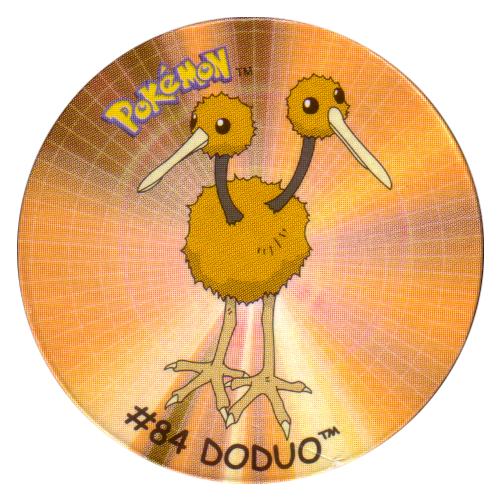 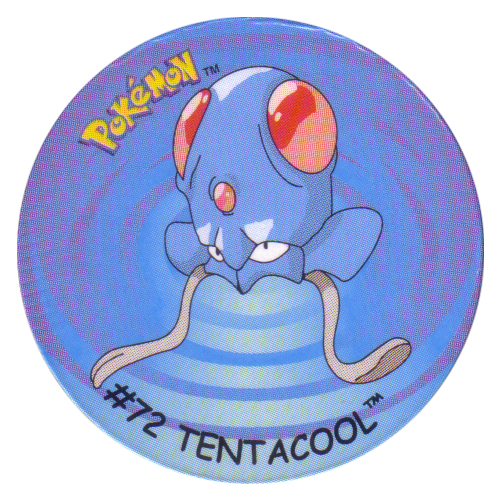 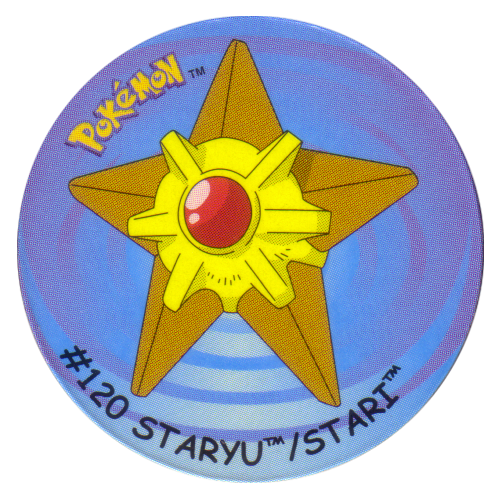 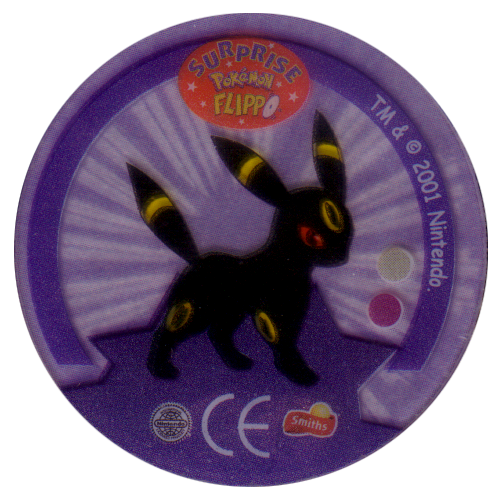 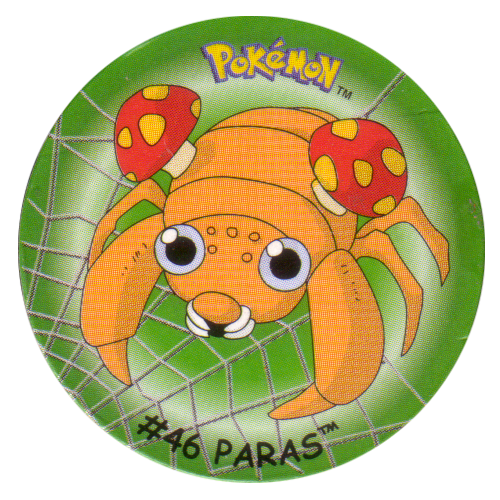 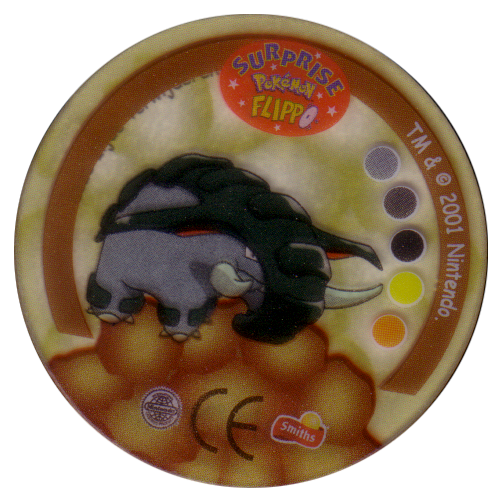 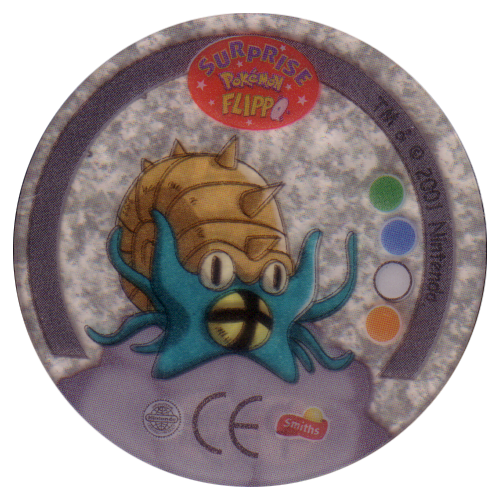 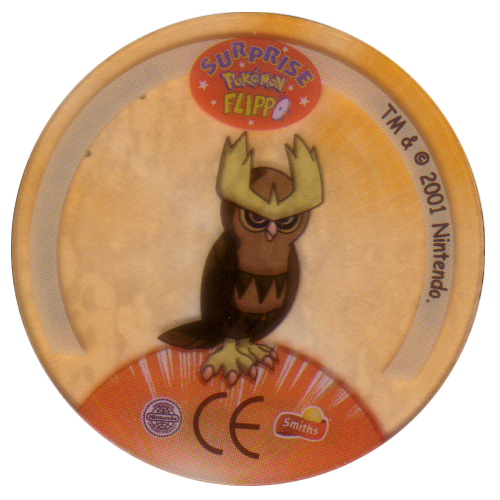 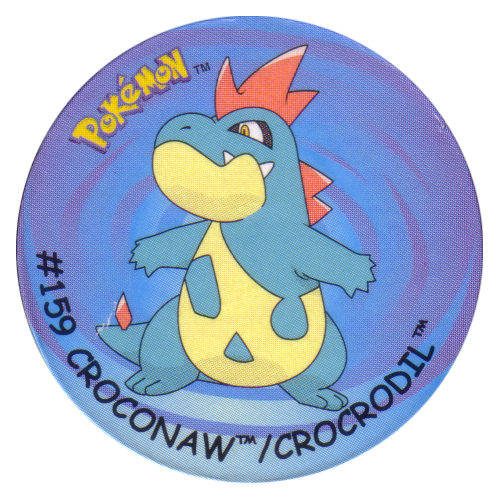 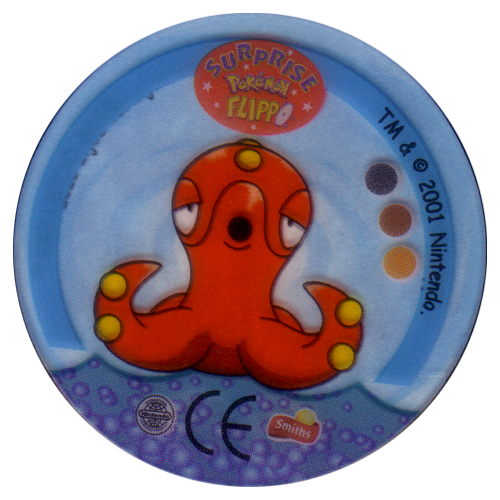 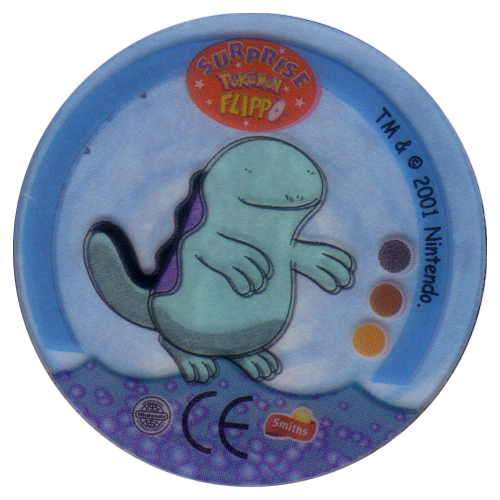 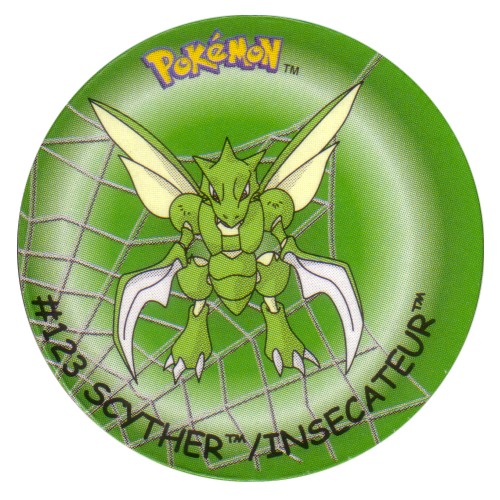 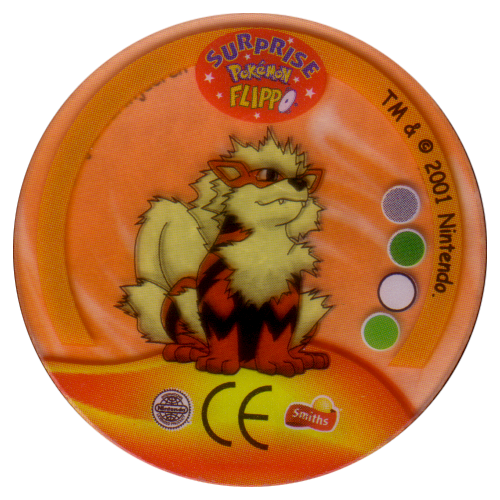 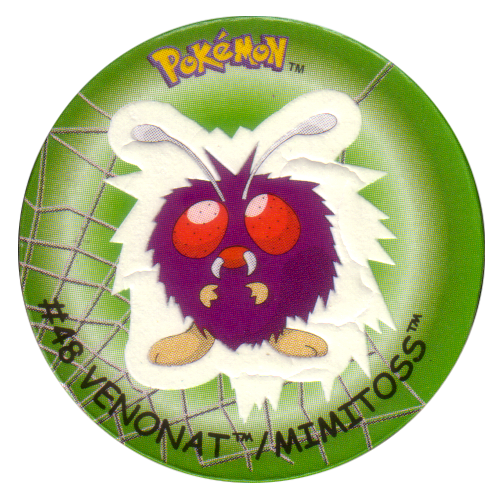 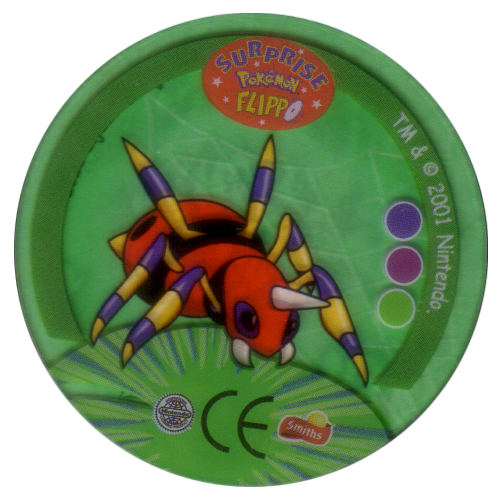 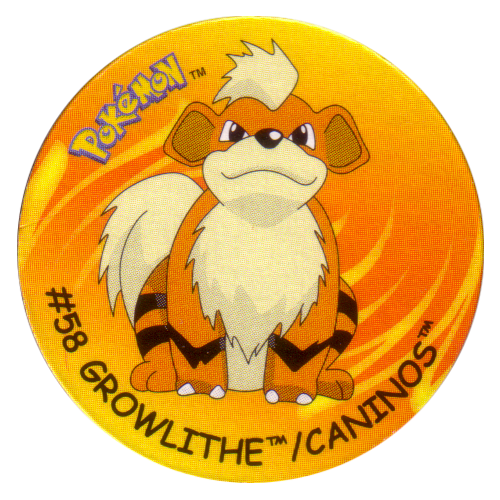 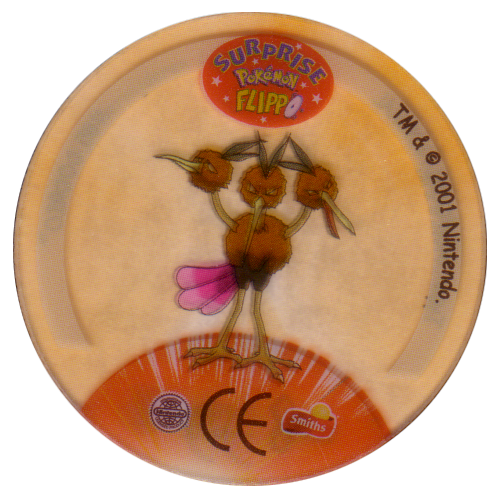 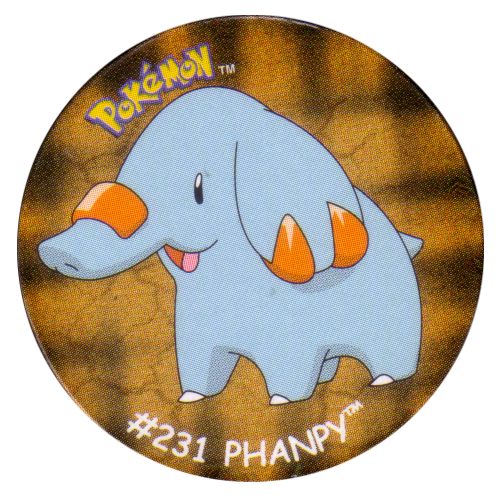 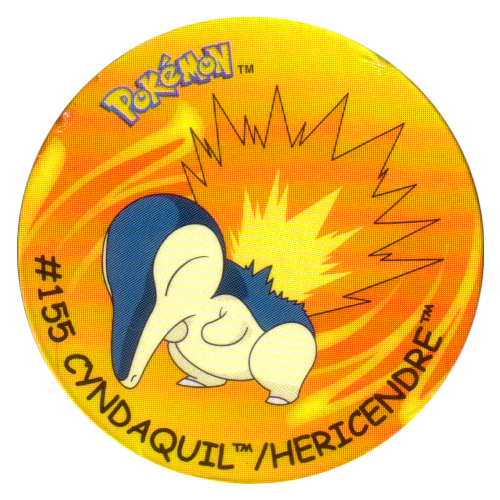 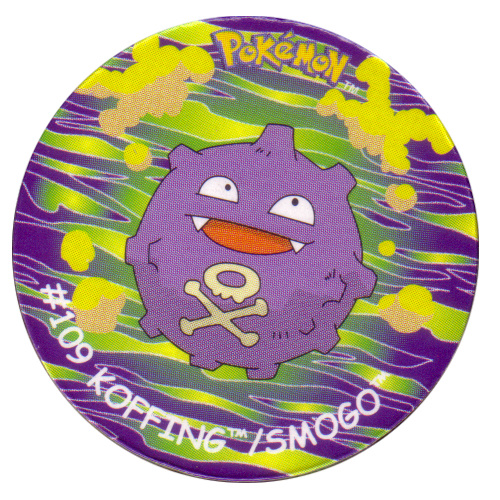 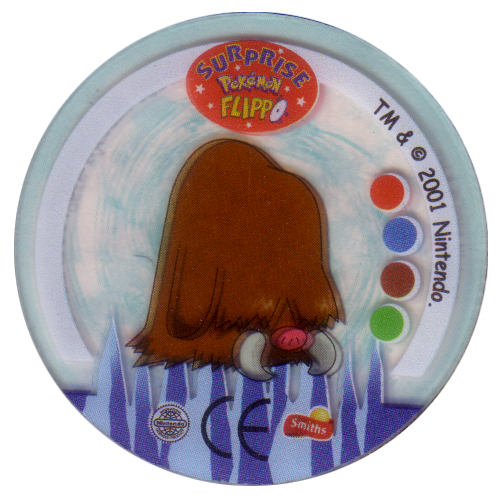 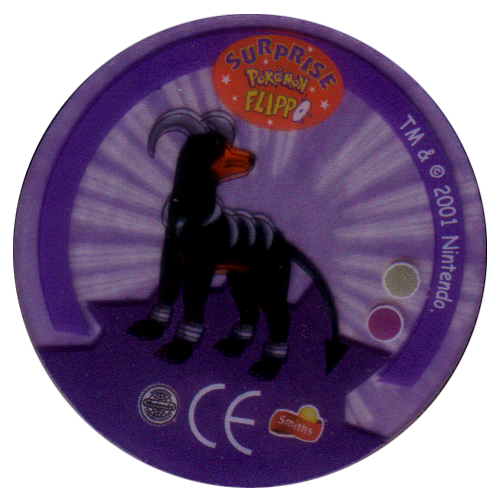 The names of the pokemon on the stickers (fronts of the flippos) are in English and French.